Mt. 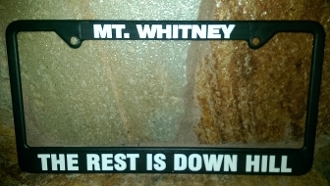 Whitney "The rest is down hill". Plastic mold.